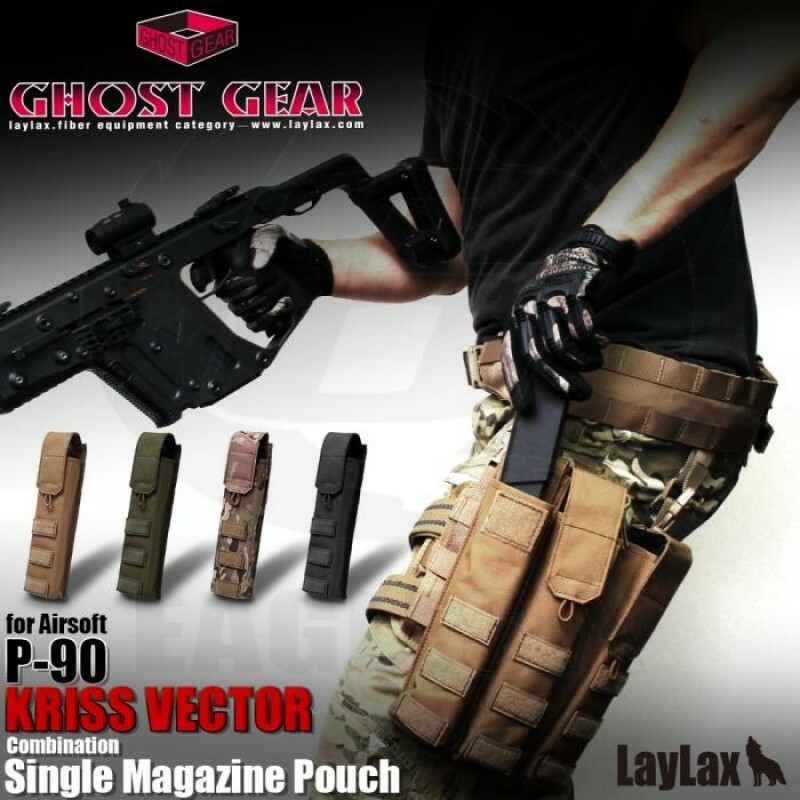 KRISS VECTOR (Chris Vector) / P90 magazine combined single magazine pouch which can perform quick magazine change by Velcro flap opening and closing ceremony. with PALS waving ! The whole surface is equipped with PALS waving with Velcro base, decoration is also OK with expansion military patch, as well as extension! Velcro flap type prevents dropping out. It can be installed in equipments as many as you like with a single type.